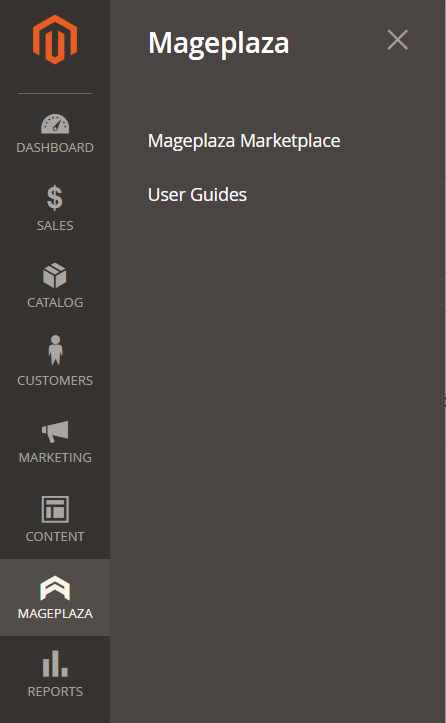 Just want to hide 'MagePlaza' from left navigation, which make client confuse. I am trying to find simple and easy solution. If you don't want to change in code then create new role for your client and add all resource except mageplaza and assign that rule to your client admin. This link will help you to create role. add <remove id="menu_id"/> before ending <menu> node. menu_id is a identifier which you set in <add> node id attribute. Otherwise you can follow @Ravi's way. Not the answer you're looking for? Browse other questions tagged admin magento-2.2.5 adminmenu or ask your own question. Admin left menu (System -> Configuration) - How can I make two different sections (one for each module) under the same tab in admin menu?